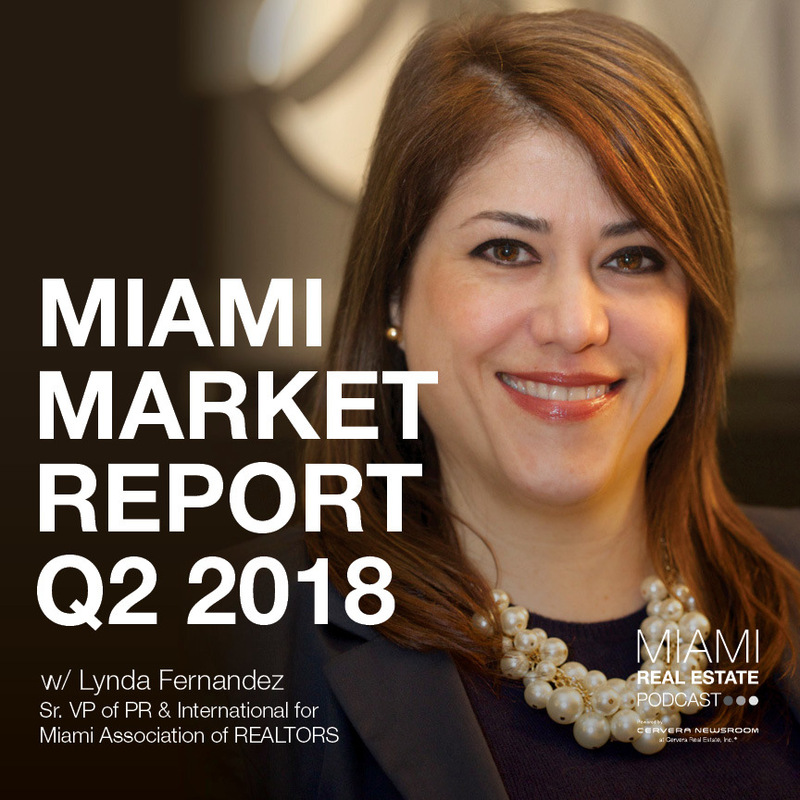 Lynda Fernandez returns to the Miami Real Estate podcast to talk about sales activity from Q2 2018, hot markets, recent buyer trends, and upcoming events. Lynda Fernandez is senior vice president of public relations and international at the 47,000-member MIAMI Association of Realtors (MIAMI), which includes more than 45,000 members in their Residential Association and 1,700 members in their RealtorsÒ Commercial Alliance. She has nearly 20 years of experience in public relations and international business development. MIAMI, the largest local Realtor association in the nation, is celebrating 98 years of service to the industry, the public and the community. Ms. Fernandez handles international business development, global media relations and research for MIAMI. Activity for MIAMI’s International Council includes more than 178 worldwide partner associations; participation in global conferences, expos, and events; and the award-winning Miami International Real Estate Congress and Expo. The Miami Real Estate Podcast is made possible by the Cervera Newsroom, a sub-divison of the in-house marketing department at the Miami-based brokerage firm Cervera Real Estate. In the Cervera Newsroom, we complement five decades of experience selling Miami real estate with talent and technology for today’s marketplace. From expertise in traditional and digital media, industry leading creative talent, and South Florida’s largest social media presence to innovative technology resources, our in-house brand marketing platform is designed to ensure that every client and associate we service succeeds in today’s fast-paced, tech-driven, competitive environment. To learn more about our company or explore a career with Cervera Real Estate, visit www.Cervera.com or email us at MiamiRealEstatePodcast@Cervera.com, we would love to hear from you!